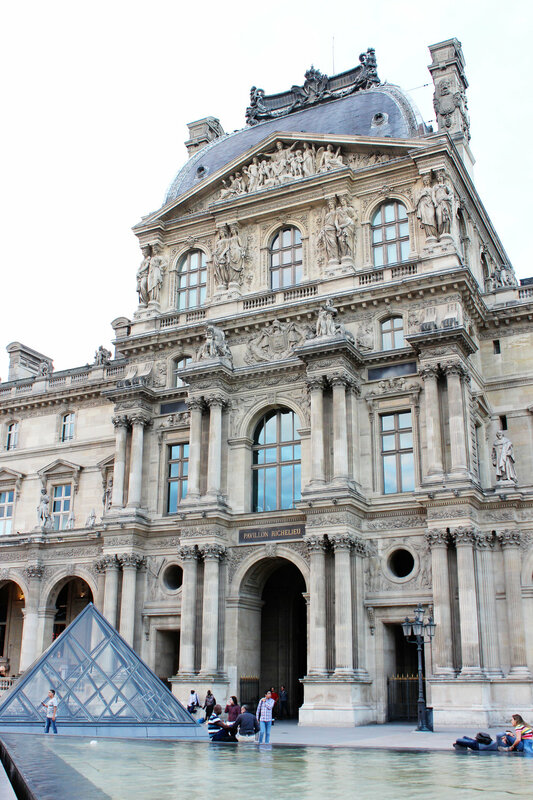 One thing that I knew that I did not want to do in Paris was go inside the Louvre. As someone who really likes art and museums, I tend to get annoyed at museums, especially if they're popular ones. They tend to be overflowing with tourists who want to get that obligatory photo in front of "that famous painting". Also, I kept reading that I should avoid the Louvre at all costs. So that's what we decided to do. We didn't even plan on being in the area but on our first day we somehow found ourselves at the Jardin des Tuileries at dusk. As we walked through the garden we realized that it led to the Louvre. Since we didn't know when we would ever get the chance to see the Louvre, we walked over. It was probably one of the best decisions we made because there were barely any people around. Walking around the courtyard and seeing the glass pyramids without the crowds was a pretty cool moment. I'm glad that we decided to skip the lines and just "happened" upon the Louvre.